Open offices are not the solution to all our problems.The greater population needs some level of quiet workspace to perform their tasks and not face the endless interruption. 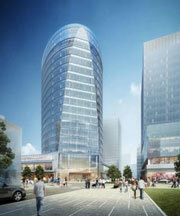 Additional information on the study is available at Bisnow, here. Simply put – employees want to be comfortable. Many new cars have dual temperature control for both front-seat passengers, and separate controls for the rear. Office employees simply want the same ability to customize their climate and control their environment – from their personal devices. New research conducted by Purdue University’s Center for High Performance Buildings shows that people who were able to easily control temperature and lighting from their computer were more actively engaged during the day than those who had to get up and use a traditional wall-mounted control…The former also showed higher levels of productivity and had better cognitive test results than the group that did not have direct control over their surroundings. “By giving people the choice to use more daylight and feel more connected to the outdoor environment, you can optimize productivity and use less energy,” CHPB researcher and associate professor Panagiota Karava said in a statement. 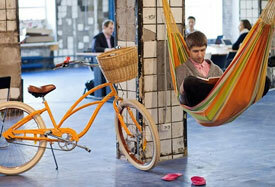 When listing amenities for buildings, beyond bike rooms and common area Wi-Fi, is a new addition: nap rooms. Soon to occupy space in Class A office towers around Boston, the new commercial real estate staple is quickly becoming adopted to cater to our changing workforce. By 2020, millennials will make up 40-50% of the working population. Due in part to the increasing focus placed on the impact of work on occupants’ physical and mental well-being, a new scoring system has been devised to quantify office buildings’ use of wellness amenities. Similar to LEED certification, which measures a building’s environmental sustainability, Fitwel’s system tracks various factors, from signs encouraging workers to take the stairs and wash their hands to more particular features such as lactation rooms and air purification systems. The availability of natural light is also considered a plus because it helps tenants keep their circadian rhythms in sync. Access to high quality internet is key; without that, today’s office doesn’t work. 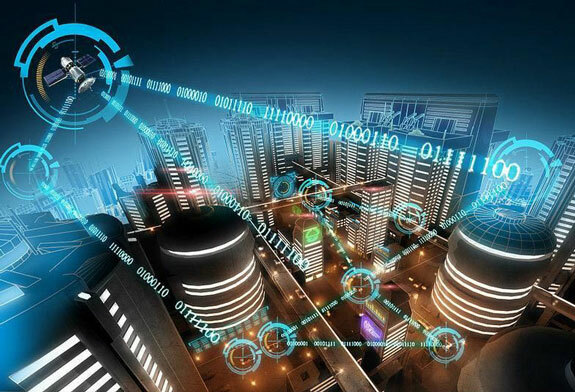 “Tenants want an assurance that their building’s infrastructure will meet their connectivity needs in the immediate, but also in the future, regardless of whatever technological leaps are in store for their business down the road,” says Arie Barendrecht, WiredScore’s founder and CEO. 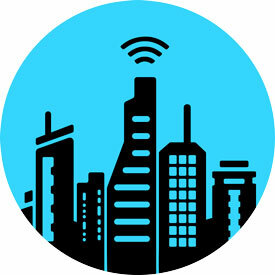 After location, the second most important factor in a tenant’s current space, according to a study by Radius Global Market Research and WiredScore, is the quality of internet connectivity. When it comes to evaluating future space needs, connectivity takes pride of place, with price and location ranked second and third in priority. Soon your office building could follow the same path as the new iPhone X: facial recognition. Operating systems such as Nantum are one step closer to achieving the true AI experience, which is intuitive and self-improving, by using machine learning to act as the “brain” of a building. With the brain in place, Nantum can create memories of the building’s performance in order to develop algorithms that will ultimately serve to keep iterating and improving on the systems of the building, including its energy and efficiency. A shift toward advanced technologies is beginning to take shape with facial recognition software emerging in some buildings as a way to allow employees to safely enter the office without the use of a security card. “When people talk about IoT, sensor technology is probably having the biggest impact on buildings and space,” Pope said. You can read more on IoT and smart office technology on Biznow. Open plan versus private office the debate continues. It’s likely safe to say that we will end up with some composite of open and collaborative space while maintaining some private offices. The latest model acknowledges that companies may have saved money establishing an open concept floor plan, but in most cases, they did not drive the innovation and collaboration desired. To combat this problem, current designs include areas such as team spaces with standing tables, comfortable couches and movable walls to encourage team meetings and collaboration. The activity-based office design also provides private spaces such as soundproof phone booths or isolation rooms in order to account for moments when intense concentration is needed, or when a confidential conversation needs to take place. For more information, jump over to Biznow.com. 0	What’s Do Boston Office Tenants Prioritize? Office tenants are using their space far different than years past. In some, but not all, cases employees no longer have an assigned desk. They simply check in and grab space that is conducive to the task they need to perform that day. 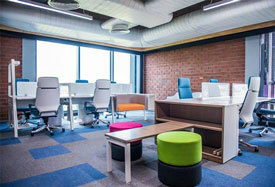 This would include a phone room for a call with a client or a table for an internal team meeting. Efficiency, convenience, a great neighborhood and something “cool” that goes above and beyond for our tenants…[many contemporary office developments]…have flexible conference and events facilities with outdoor access to accommodate corporate gatherings. This maximizes the amount of productive square feet within a tenant space and minimizes the need for a large conference room, ultimately increasing the number of employees that a space can accommodate. On-site amenities provide a company’s employees with options for a balanced and productive day within their office building. Gyms, dry cleaning and terraces are now standard in many buildings. 0	Is Modern Office Space Too Open? Can modern office space be too open? 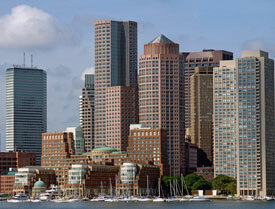 Is this a problem plaguing today’s office space in Boston? 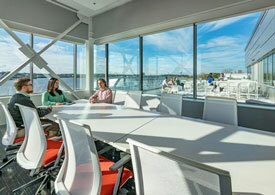 Some say “yes,” and are migrating towards more private office space design.